Colour of being. Is the Finest chain. Love’s the most piercing and inventive pain. For love we suffer profound ignorant scars. For love we soldier, and love honour too. Embosomed within the gentle curves of the river Allan a young couple, inhabitants of the neighbouring hamlets of Inverallan and Keirfield, embarked upon a journey of love. 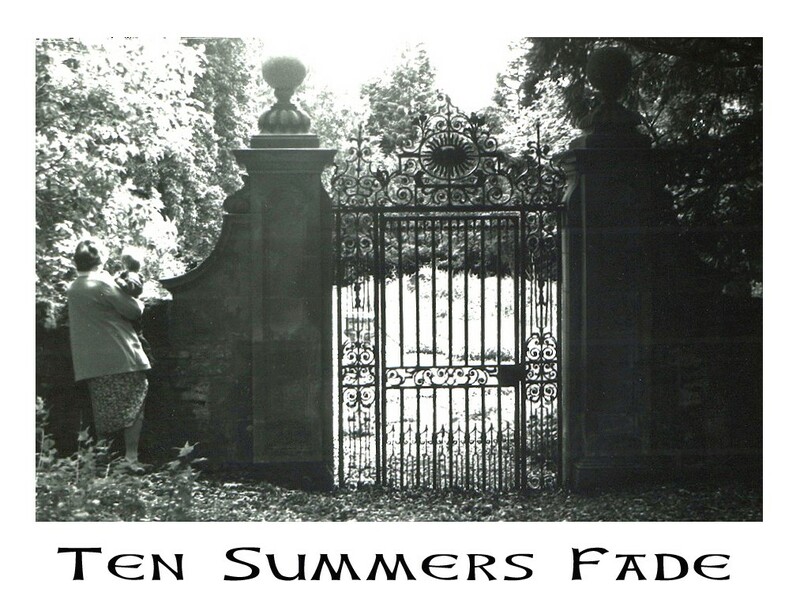 Never could they have imagined that within the fading glow of ten summers their walk of love would be brought to a sudden and tragic end. Presented here for you is a family story of Bridge of Allan. In that it spans two centuries, it is like no other. Short of Ella McLean’s consummate Bridge of Allan: the rise of a village there suffers a dearth on the early history of this rather special village. Two exceptional women hallmark the beginning and end of this tale; women who although separated by the long span of two centuries, are united in their Unfailing Devotion to their families. This account is unreservedly dedicated to them: Susannah Rutherfoord and Margaret Scott. Let us then kaleidoscope back in time to those long gone days of Susannah Rutherfoord our first protagonist. Susannah’s story is rather wonderful and preserves in rich and evocative detail the life and heartaches of an embryonic village. It was the middle Saturday of May 1833 when the Lecropt Bells rang out amongst the parish announcing the marriage of their dear Susannah. Her sweetheart, Adam Baird, a miller on the Allan, was of the neighbouring hamlet of Inverallan. 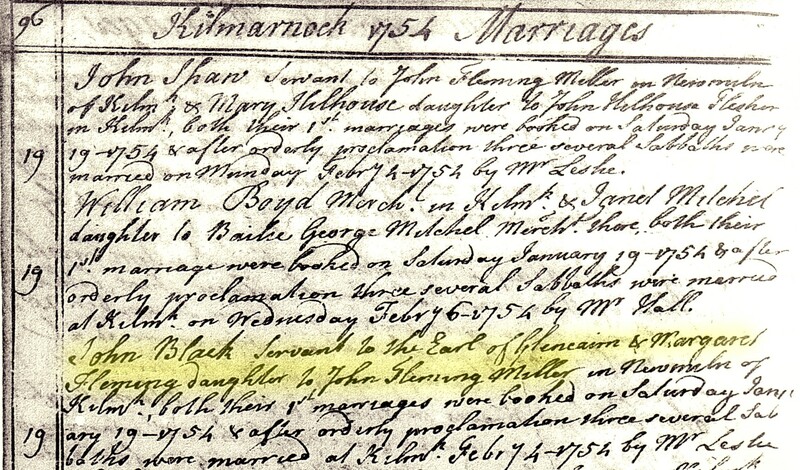 Four years earlier, Susannah’s sister Mary had married James Baird, brother of Adam. 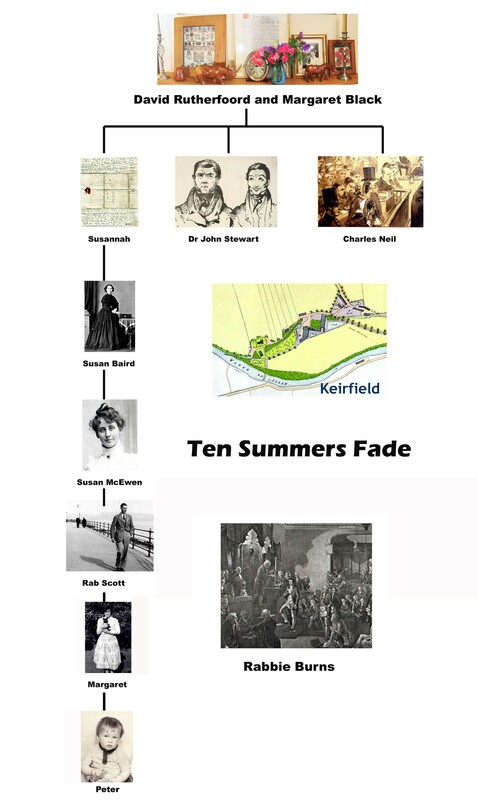 Thus there was a truly deep bond of unification between two of the notable Lecropt families: the Rutherfoords of Keirfield and the Bairds of Inverallan. It is no wonder then that Adam and Susannah’s tale has been so fondly rehearsed by so many over the two hundred years or so that have passed since their first blossom of love. Like others before it then, this narrative shall retrace Adam and Susannah’s footsteps, and through the fading glow of their ten summers of love, will attempt to revive their astonishing story. Figure 1: Looking over the Lecropt wall: Margaret Scott and grandson. This account will draw to a close with Margaret Scott, my mother, who was born in Bridge of Allan in 1943 one hundred years on from the death of Susannah Rutherfoord her great-great-grandmother. If anyone carries forward Susannah’s gift it is my mother. Above is a picture of Margaret Scott, who is hoisting her grandson Andrew above the surrounding wall to peer over into the ancient churchyard of Lecropt. This churchyard has been cradled within the Keir policy for one hundred and seventy years, though its true history is far more ancient. It is here that we find the final resting place of Rutherford family. Susannah Rutherfoord was, by all accounts, a dazzling and vivacious beauty. It is all the more sad then that she died before the era of photographic portraiture. However this need not be dwelt upon for too long as letters and manuscripts survive that recreate in prose the utter beauty of her being. These letters confirm that not only was she a beloved daughter and sister, but that she also had an aching stack of admirers. Adam Baird was a most lucky man to capture Susannah’s heart. Nestled on the left-hand-side of my mantle-piece is an ancient piece of needlework. The seamstress was young Susannah Rutherford and the period of its completion was the Napoleonic. 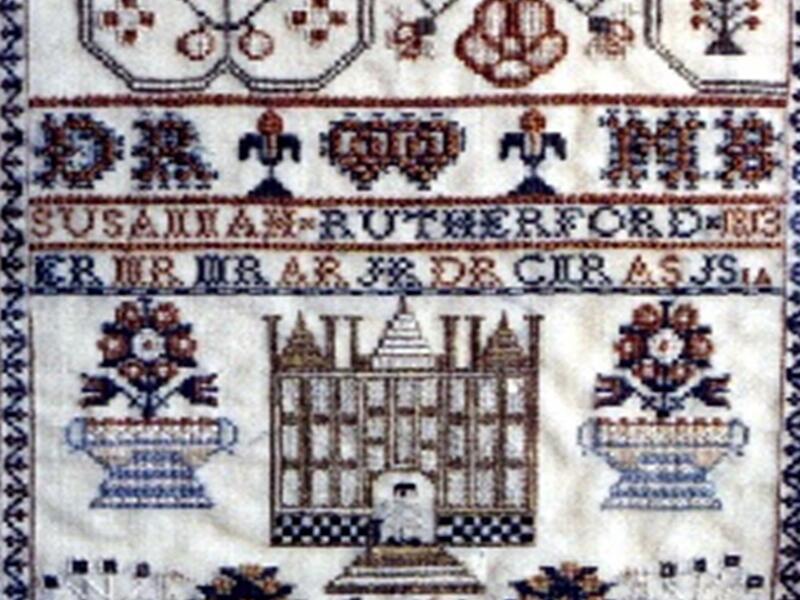 The sampler is a beautiful piece of work, and despite the passing of two centuries, is remarkably well preserved. Viewing it, there is no hint of the sadness and turmoil that was to befall the Rutherford family. If you examine Susannah’s sampler in a little more detail, you will discover that its design is typical of the period – with symbols of love, health, prosperity and characteristic peacocks. The large initials at the top are of Susannah’s parents; D.R. for David Rutherfoord her father, and M.B. for Margaret Black her mother. Underneath are the initials of her brothers and sisters. 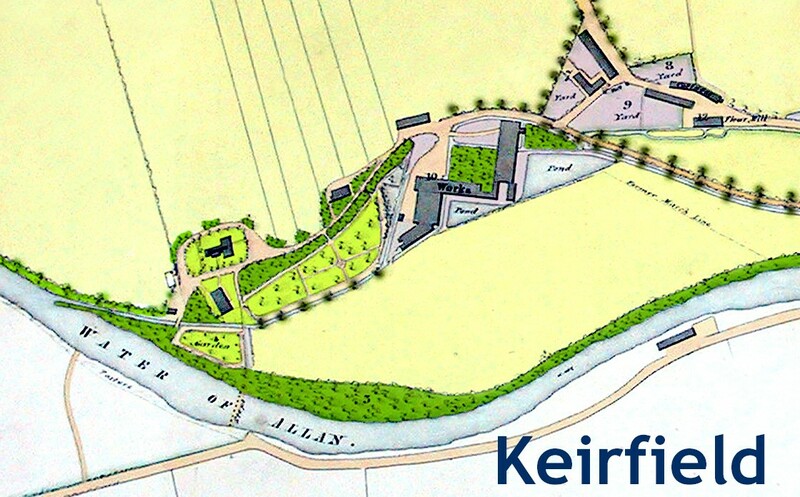 At the time, arguably along with the McVicar family, the Rutherfoords were the key family of Keirfield. Both David Rutherfoord and his wife Margaret Black are recalled in the annals of the ‘Bridge’s’ history, for David has been described as ‘one of the village’s most remarkable men,’ and his wife Margaret was in the counsel of the national Bard – Rabbie Burns. Indeed Margaret’s sister, Betty, was in the days of her glorious youth, one of Rabbie Burns very own Mauchline Belles. 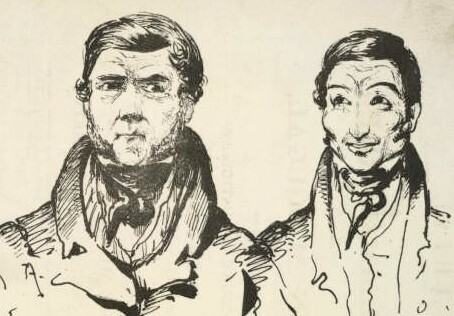 As for Susannah’s siblings, her two brothers were to become key figures in the village: John Stewart Rutherfoord the beloved village doctor and Charles Neil Rutherfoord, apothecary, librarian and packet steam-boat agent. It seems then a time to share Susannah Rutherfoord’s family story, and give back the detail lost not in her tapestry. Below you have Keirfield as it was in 1830, dominated by the central Bleach Works of which David Rutherfoord was the Manager and Overseer. David Rutherford was a good Greek and Hebrew scholar, and amongst other things translated the whole of the Psalms of David from the Hebrew and set them to the tunes of Old Scotch Ballads. John Ross McVicar, Master of Keirfield, in the conclusion of a shimmering obituary to his great friend David Rutherfoord, said of him “he had indeed a touch of genius”. Over a 23-year period, Margaret Black bore David eleven children. 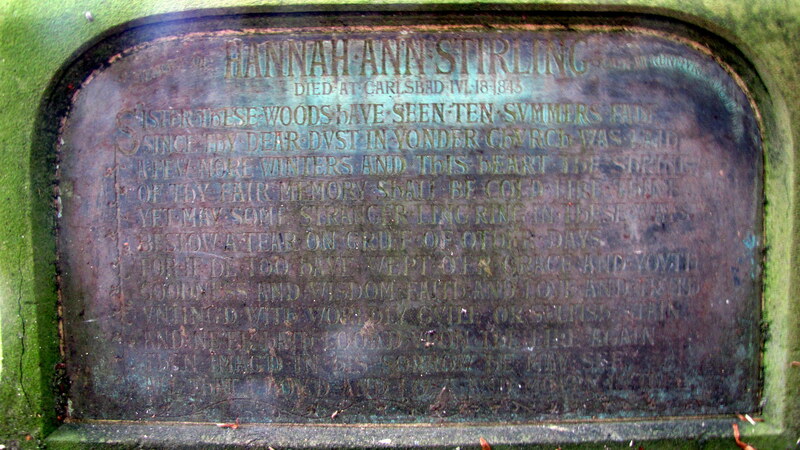 This sibship included seven girls and four boys, though at least two children, Margaret (born in 1794), and David (born in 1799), died in infancy. It is a sad coincidence that children who carried their parental names; David and Margaret, were not to survive beyond the earliest of years. However, as was so common in this period, the names were to be given again to a later son and daughter. David and Margaret’s daughters all married local men; indeed Mary and Susannah, as previously stated, were to wed brothers of a family with a very long association with the Allan. In 1829 Mary married the older brother James Baird, and in 1833 Susannah married the younger one, Adam. Pictured above is the home of the Rutherfoords. David and Margaret spent 50 happy years here, and within its walls, between 1790 and 1813 all eleven of their children were born. In this house David and Margaret celebrated their Golden Wedding anniversary. The signature at the top is that of David Rutherfoord as it appeared in the 1819 census. David, like his son Charles preferred the spelling this way –foord. 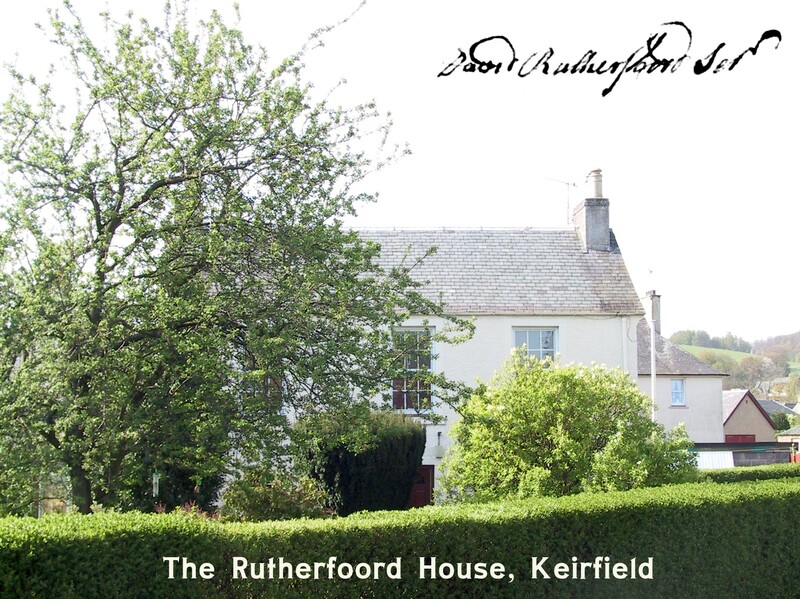 The rest of the family appeared to have modernised it to Rutheford. David was very much a family man, and diverted much effort in expanding the horizons of his children. 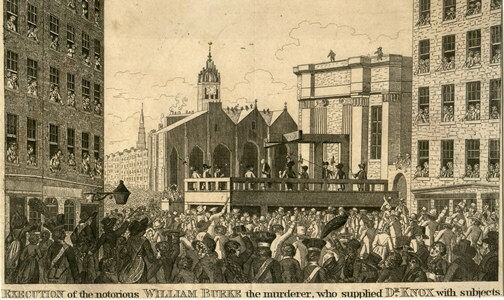 “Let me now say a few words about a remarkable man, David Rutherford, born as long ago as the year 1765. In my boyhood and youth I knew people who knew David Rutherford intimately, and I heard much of him from them, much that savoured of the apocryphal, but was literally true. He was a man of most inflexible integrity, intimately acquainted with the principles and details of his business, and unremittingly attentive to his duties. Besides being a good business man, he was a kind husband, a wise father, and a good neighbour. David Rutherford was a man of regular and studious habits, and after he had done his duty by his employer, by his family, and by his friends, he devoted the remaining hours of the day – for he lived a full day – the cultivation of his own mind. And great indeed were his attainments both in science and literature. In chemistry, in particular, he was an expert, but his knowledge of English literature, also, was both extensive and accurate. 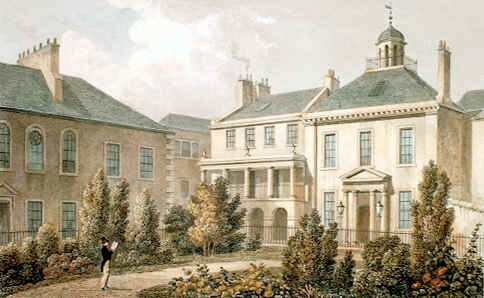 The oldest of the Rutherfoord boys, John Stewart Rutherfoord went onto study medicine at the Royal College of Surgeons, Edinburgh and after examination in Anatomy, Surgery and Pharmacy, received his Licentiateship to practice on the 24th March 1829. This was exactly one month before his 21st birthday. In addition to a constant supply of fresh and genuine medicines, C.N.R has always on hand a select stock of plain and fancy stationary, guide books, railway guides, fishing tackle of every description including reels, lines, rods, fishing baskets etc by the best makers. Physician’s prescriptions and family recipes carefully prepared. From the Circulating Library of the Village, which is kept in the establishment, Books are lent to visitors on reasonable terms. It seems, from the 1851 census that Charles Neil Rutherfoord and his family lived in Maple House a few doors down from the Post Office. It is currently a shop next to the Westerton Inn. The location of the shop however initially puzzled me until I came across the notes of Dr R. T. Young, which confirmed that it was located on the corner of Union Street with Henderson Street where the Penzance building now stands. The Penzance Building was built by Oswald Robertson to replace the 1830’s post office and apothecary of Charles Neil Rutherfoord. However two original 18th century houses remain on Union Street, and their gable outlines match perfectly with the superimposed sketch of 1850. As recently as April 2002 a new twist in the Rutherfoord tale was to emerge. I had assumed that with the coming of Gilbert Farie and Oswald Robertson to the village, there could not possibly be the demand for three ‘druggists’ in one village. From the census returns I knew that Charles Rutherfoord left Bridge of Allan sometime after 1861. In January 1862 Charles Neil was served by a bond of caution by John Tentrel and a few days later he was declared bankrupt. So there is the ghastly truth: both Rutherfoord brothers, doctor and apothecary, John and Charles, fell to the same fate – bankruptcy. If only we could really know the truth of such lost venture – for surely it would fascinate. 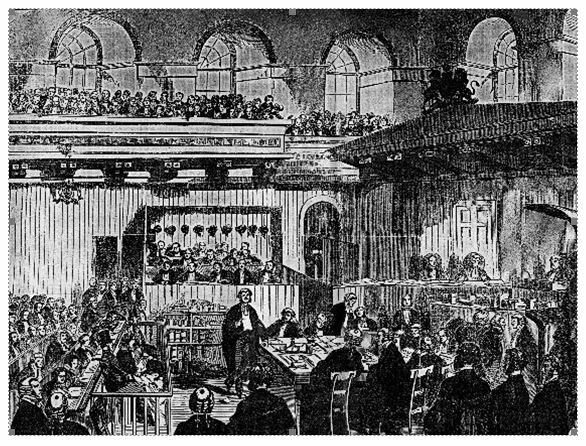 However it could never mesmerize as much as that of the greatest of all Victorian Murder trials – that of Madeleine Smith, who was accused of poisoning her lover with arsenic. Bridge of Allan was pivotal in this case and Charles Neil Rutherfoord was witness number one on the very first day of the trial! Charles Neil Rutherfoord was called to stand as a witness for the prosecution, and testified regarding the presence of Pierre Emile L’Angier in Bridge of Allan just days before L’Angiers sudden illness and death…. Given that Charles was an Apothecary, it was disappointing to discover that no counsel was sought from him on the nature of the arsenic poisoning – be it accidental or deliberate – or an act of horrid vengeance by a spurned lover to frame an innocent girl. No more enticing invitation could have been given to explore the intimate life of the Rutherfoord family. So sad then that after Dr Young’s review the letters completely vanished; and worse still, nobody knew if indeed they still survived. I thus embarked on a detective hunt that turned out to be blind-alleyed and ultimately fruitless. So it was that by the time that I gave my lecture to the Welsh Trust on the 7th of May 2002 I had given up hope that the “bundle of letters” was still extant. A year passed by, when with great & unexpected delight the letters were to have their dust blown off. For indeed they had survived and were in the safe keeping of the Reverend Brian Holliday (cousin of Margaret Scott). The genial and kindly Brian passed the letters onto me to be their custodian. Twenty-six letters survive in beautiful copper-plate and it has been one of my greatest pleasures to have the opportunity to transcribe them. They survive as fresh as the day they were written – yet there should be no doubt – they are nearly two centuries old! 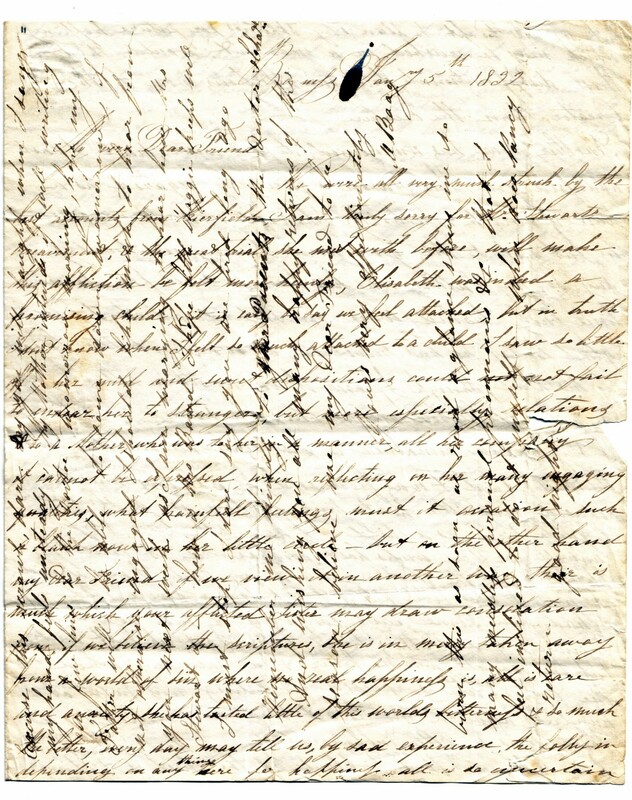 The letters date between 1820 and 1840. Mary was married, but the doctor and Charles and Susan would appear to have been at home. Susan had many friends, and had many invitations to visit them and possibly the fact that she had a bachelor brother, twenty-five years old, a rising doctor added to the interest in Susan, but, undoubtedly, Susan had charms of her own. The letters paint Susan Rutherfoord as a vivacious girl of wonder and delight. She was adored by family, and her desperate suitors, longing for love, chased from afar. Susan’s family relied on her utterly; it would be no exaggeration to say that she was both the family lynch-pin and the portal of their communication. Poor Susan for everybody wanted her. If she didn’t accept the invitations she got, her friends wrote and reproached her. On the other hand, if she did go from home, almost forthwith her father began to write to her, asking her if she wouldn’t shorten her visit and come home as soon as possible, as he and her mother were missing her terribly. If she didn’t come home quite soon the messages became more urgent, friends were coming, and they simply could not do without her; and home Susan had to go! Susan had many true and dear friends of that there can be no doubt. However of the correspondents that survive, it is Maggie Boag of Boness that truly shines. Any more genuine out-pouring of sentiment one will simply not find: for Maggie, poor Maggie, was smitten with Keirfield and longed for Susannah and that vital friendship – yet misfortune intervened in everyway – and her true wishes were it seems never fulfilled. One can almost touch Maggie through all these years: her fears so real and so understandable, that they jump off the page like pounding beats of a fretful heart. The letter below is typical: the terror of cholera described so vividly and the self-modesty of Maggie hanging fresh on the many years that have passed since she put pen to paper. I dare say my Dear Friend will be thinking my letters rather troublesome. I did not intend writing quite so soon but my Father has been anxious to write the Doctor for some time and expecting some of our acquaintance to go to Stirling, put off, but will wait no longer, so as he was waiting I could not resist also writing a few lines to acknowledge the receipt of your letter and parcel which I received last Thursday. My Dear Susan, the repeated kind invitations that I have received from you all to visit Kierfield tempts me very much, my Mother has been saying this some time she thought I would be the better of it. Though my cough is almost better yet I have never felt altogether well since I wrote you, though seldom out, I scarcely ever —- getting more cold. I could have come away immediately on the receipt of your letter, but our Sacrament is on Sunday and owing to the distressing state of the country, I dare not flatter myself, though I have been doing it more this —– days past, but I will say or plan nothing, except if we keep well. I need not add Kierfield will be my first visiting place. I am afraid all mode of travelling will soon be stopped, David has just been sending his trunk with the carrier, the canal boat being stopped, he leaves us this week for Liverpool, he won’t be persuaded to stay longer, he has been with us two months which he says is long enough to be idle, we will miss him very much. Thomas sails next month we have heard nothing more of William, it is an unhappy life a sailor, so unsettled, while their friends are never free from anxiety. There simply is not the scope in this manuscript to do justice to the Rutherfoord letters. They are the timepiece of a bygone village and place a family, long since gone, at its heart. One letter though stands out, though neither for its worldly wisdom nor for its historical relevance, simply it records the nature of love. That is something this Custodian tries to capture; for in my life, as with the Rutherfoords, the bonds of love go deeper than any other worldly matter. The following letter is from Mr Oliphant. In it are the cries of anguish of a young suitor – he fears the worst, that Susan Rutherfoord has become engaged to a Bridge of Allan boy. Now I think you will be tired by a string of excuses but I trust I am believed and the best evidence you can give is by fulfilling your half promised visit here. If on the event of your marriage which my Mother joins me heartily in I am not joking but serious unless you extend your jaunt to Aberdeen. What nonsense is this I have taken into my head, you will say I have no foundation for it, but I think you are intending to change your name soon remember my dear friend I write to you candidly don’t be offended at my free speaking, you might have wrote me to Liverpool and told me if Nebuchadnezzar was still in the Bridge of Allan. I think in my last I mentioned William was still in Mr Henderson’s employ he left them and joined the Brig Matilda a regular trader up the Mediterranean to our view advantageous, though often the brightest prospects does not turn out the best, but if he keeps his health & does as well for his Honours as he did for the Hendersons I have no doubt he will have the pleasure of giving satisfaction, the way the latter has used him made the offer of this vessel more readily accepted we are now at law with Mr. H. for only a third of what they unjustly defrauded us off, my Mother is angry at our simplicity in not claiming the whole which would have been no more than they deserved after the way they treated my father for so many years. This from Mrs Oliphant nee Maggie Boag: Something whispered not long…..
Mrs Oliphant was uncannily correct, for Susan was married within a few short months of receipt of his letter of January 1833. So by the middle of May, Susan had accepted the hand of the upright and Christian, Mr Adam Baird. A joyful marriage was followed by the joyful birth of three daughters; Margaret in 1834, Susan in 1837, and Janet in 1839. Yet that Nebuchadnezzar (Cholera) had never left the parish and it was determined to wreck the celebrations of the infant family. Weakened after childbirth, in the spring of 1840, the far from ‘stout’ Susan Rutherfoord became Nebuchadnezzar’s latest commission. Susan clung to life just long enough to dictate to her father a testament which he scribed for her in long, beautiful and solemn copper-plate. She divided her possessions equally amongst her three infant daughters. To Susan, her middle child, she left her trunk. It was in this trunk that her letters were stored. On the last Sunday of March 1840 Susan died. Yes how quickly Ten Summers Fade. Of thy fair memory shall he cold as thine. All that I loved, and lost, and mourn in thee.